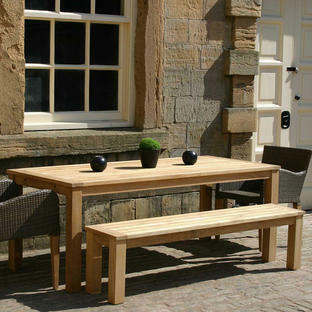 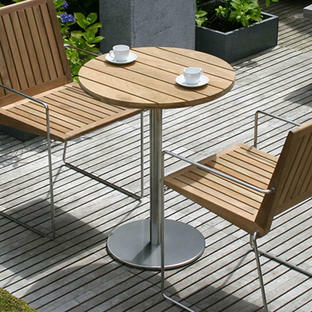 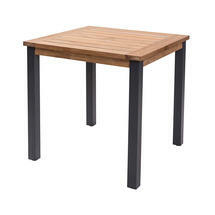 A gorgeous combination of teak table tops and powder-coated aluminium bases. 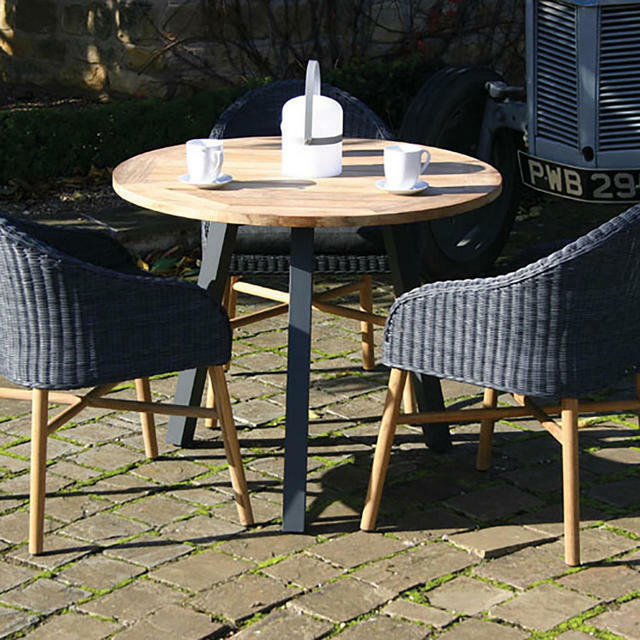 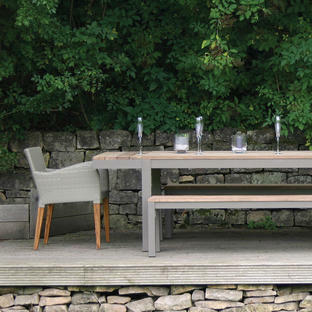 The Atlantic range of outdoor dining tables is a delightful combination of plantation teak with powder coated aluminium legs in anthracite. 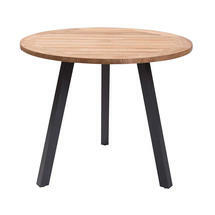 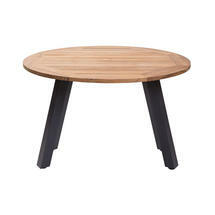 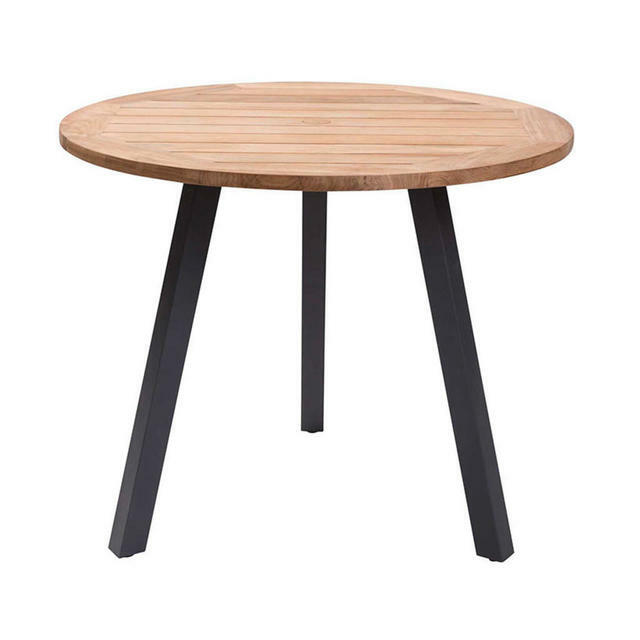 The tables have a parasol hole with a teak stopper. 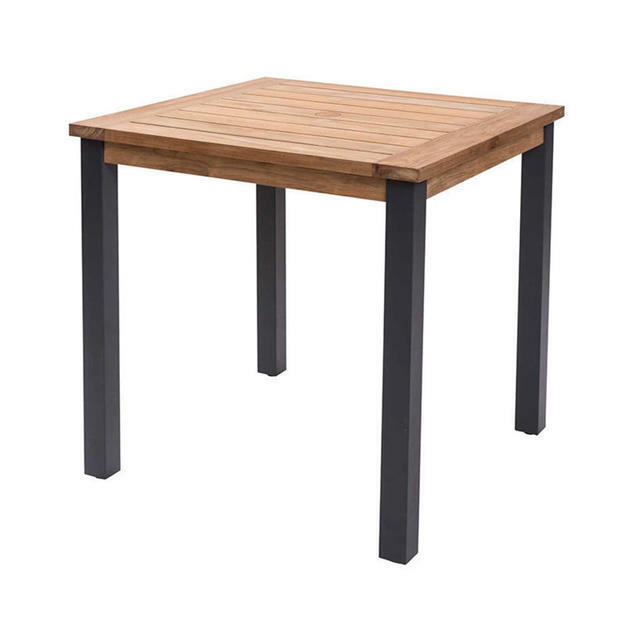 Table top is made from solid plantation teak, the wood will weather gradually to a natural silver grey colour when used outdoors. The legs are made from powder-coated aluminium. 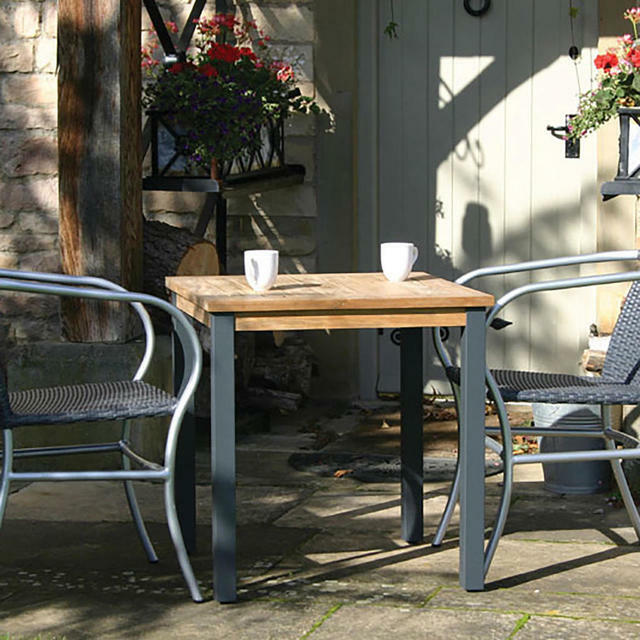 The parasol diamteer is 50mm.